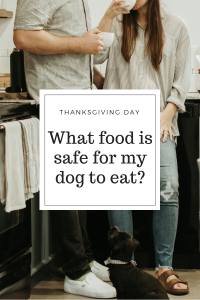 When it comes to Thanksgiving, people tend to enjoy giving their dogs either scraps or preparing them a special meal that they can enjoy just as we do. 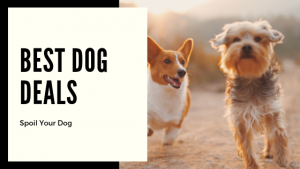 While there are plenty of foods that are safe for dogs to eat that we use to prep food for our meals, there are also lots of food that can be harmful to dogs as well. Some of these foods may surprise you. Nobody wants an emergency vet trip on Thanksgiving (or really any day) honestly. 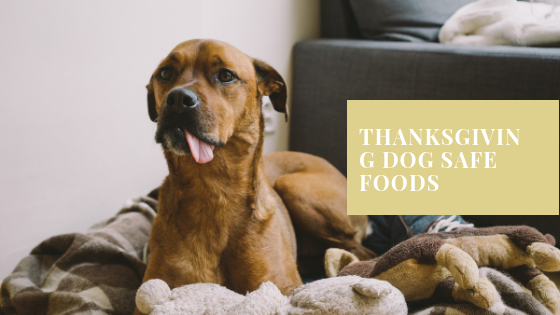 Some may give a special meal to show they are thankful for their dog, others may do it to make their dog feel special, or for many other reasons. Turkey is safe for your dog. Be sure to make sure you DO NOT give them any bones though. Cooked bones are dangerous for dogs. It’s also a good idea to avoid giving the skin and fat of the turkey. Plain turkey though with no dressing is a good choice for your dog. Plain baked potatoes are safe to give to your dog. They are a good and pet safe vegetable as long as you make sure there is no butter, sour cream, cheese, onions, or gravy. Nothing of the sort, just a plain part of potato is good and safe for your dog. 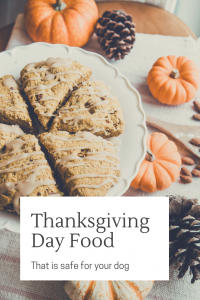 These are safe for your dog to eat on Thanksgiving day. Again, just make sure they are plain and have no additives such as butter or brown sugar, or anything. Sweet potato pie is a NO GO for your dog though. Be cautious with cranberries. Although they are safe for dogs to eat, it’s only safe in small quantities. Be sure you know how much sugar they have in them as the sugar content can be more harmful if it’s too much. Due to it being tart, not all dogs will enjoy them. Fresh, plain green beans (or canned) are a good thing to give your dog on Thanksgiving. Now be sure to avoid green bean casserole as that can be harmful for your dog. This is perhaps the main food to make sure you DO NOT give to your dog. Stuffing contains alliums (onions, garlic, leeks, and chives) which are harmful to your dog. Alliums can cause toxic anemia. Stuffing also typically has sage in it which is harmful to dogs as well. Gravy is a common Thanksgiving day food used for turkey and potatoes but is not safe for your dog to consume. When dough gets warm it rises. This definitely isn’t safe to have our dogs consume as we don’t want the dough expanding in their stomachs. Be sure they don’t sneak any pieces that may fall on the ground. While this is mainly about macadamia nuts and walnuts, you should be cautious of nuts in general. 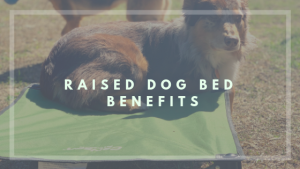 They can cause anything from gastric issues to neurological issues to even seizures. While Thanksgiving Day is a day for fun, family, and friends; if you want to include your dog, do it right. Offer them some raw carrots and broccoli or even turkey (cooked or raw). Explain to your guests to not give your dog food from their plates. Be sure to let the younger kids know as well and feel free to explain why they can’t give food to the dog. Keep your dog safe this year so you have many more years to enjoy with them. What is your dogs favorite food to eat? Need gift ideas for the dog lover in your life? Want to keep giving your dog fresh cooked meals? 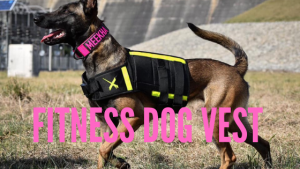 Best Dog Fitness Vest – Save $$ With Our Code!